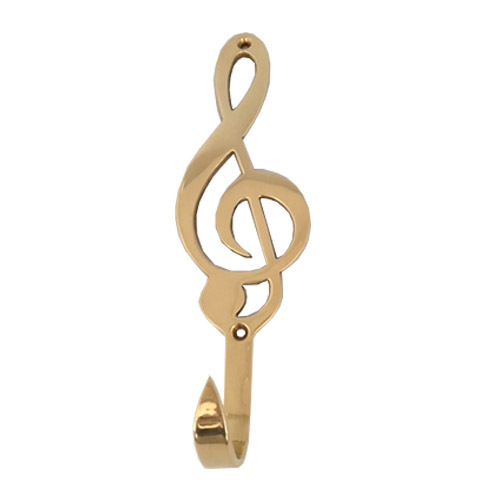 Beautiful quality decorative brass hook with treble clef. Size approx. 8 1/2" x 3."